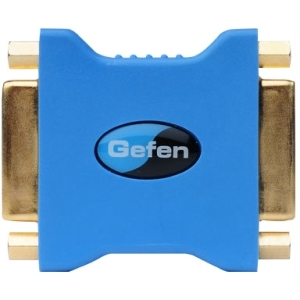 The Gefen DVImate is a cable coupler solution that allows two separate DVI M-M cables to be connected together without losing the audio/video signal integrity. Increase the range of a DVI monitor, or place a computer away from a DVI monitor at a comfortable and convenient distance. The DVImate can add power to the DVI cable should it be lacking on pin 14.